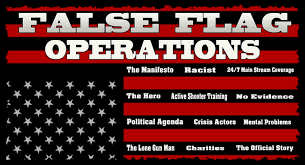 The contemporary term false flag describes covert operations that are designed to deceive in such a way that the operations appear as though they are being carried out by entities, groups, or nations other than those who actually planned and executed them. However collage-algorithm is an effective low resource intelligence tool. as gathered pieces of a puzzle presenting a not so surprising prediction or work of art. The latest growing battlefield is in Somalia, and it threatens to spiral out of control just like so many other undeclared war zones before it. An article published in The New York Times this past Sunday perfectly demonstrates how out of control and unconstitutional America’s foreign policy has become. It highlights the latest war being perpetrated by the Obama administration, which is expanding with very little scrutiny from the press or the government branch supposedly in charge of waging war, the U.S. Congress. WASHINGTON — The escalating American military engagement in Somalia has led the Obama administration to expand the legal scope of the war against Al Qaeda, a move that will strengthen President-elect Donald J. Trump’s authority to combat thousands of Islamist fighters in the chaotic Horn of Africa nation. Is it “a move that will strengthen President-elect Donald J. Trump’s authority to combat thousands,” or is it a move that will allow Trump to also engage in endless, unconstitutional war? The administration has decided to deem the Shabab, the Islamist militant group in Somalia, to be part of the armed conflict that Congress authorized against the perpetrators of the Sept. 11, 2001, terrorist attacks, according to senior American officials. The move is intended to shore up the legal basis for an intensifying campaign of airstrikes and other counterterrorism operations, carried out largely in support of African Union and Somali government forces. The executive branch’s stretching of the 2001 war authorization against the original Al Qaeda to cover other Islamist groups in countries far from Afghanistan — even ones, like the Shabab, that did not exist at the time — has prompted recurring objections from some legal and foreign policy experts. Would you look at that. Shabab didn’t even exists on 9/11, yet Obama is using 9/11 authority against al-Qaeda to wage war without Congressional approval. He is literally creating new al-Qaeda out of thin air. The Shabab decision is expected to be publicly disclosed next month in a letter to Congress listing global deployments.It is part of the Obama administration’s pattern of relaxing various self-imposed rules for airstrikes against Islamist militants as it tries to help its partner forces in several conflicts. A “letter to Congress.” This perfectly demonstrates how utterly castrated the legislative branch has become. But it’s not just Somalia of course. Obama uses his “pen” to expand war all over the planet. In June, the administration quietly broadened the military’s authority to carry out airstrikes in Afghanistan to encompass operations intended “to achieve strategic effects,” meaning targeting people impeding the work of Afghan government forces, officials said. Previously, strikes in Afghanistan were permitted only in self-defense, for counterterrorism operations targeting Qaeda or Islamic State forces, or to “prevent a strategic defeat” of Afghan forces. Later in the summer, the administration deemed Surt, Libya, an “area of active hostilities,” after the Libyan prime minister asked for assistance in dislodging Islamic State militants from that city. The move exempted the area from 2013 rules that restrict drone strikes and other counterterrorism operations away from battlefield zones, which President Obama had announced in a major speech that year that sought to turn a page in the long-running war against Al Qaeda. As of last week, the Pentagon had carried out 420 airstrikes against militants in Surt since August. The Shabab grew up as an Islamist insurgency after 2007, when Ethiopia, with American support,invaded Somalia to overthrow an Islamist council that had briefly taken control of much of the long-chaotic country. It’s “constantly evolving” because insane U.S. foreign policy constantly creates more of them. Some experts criticized the administration for using a 15-year-old congressional authorization as a justification to go to war with the Shabab. “It’s crazy that a piece of legislation that was grounded specifically in the experience of 9/11 is now being repurposed for close air support for regional security forces in Somalia,” said Micah Zenko, a senior fellow at the Council on Foreign Relations. In 2014, for example, Mr. Obama declared that the 2001 law authorized him to battle the Islamic State in Iraq and Syria. An Army captain rejected that claim and argued that the Islamic State war was illegal because Congress had never explicitly approved it. Last week, a judge dismissed that lawsuit, without ruling on its merits. “The executor of the attack in the American state of Ohio is a soldier of ISIS, and he carried out the operation in response to calls to target citizens of international coalition countries,” a claim issued by the Amaq news agency said. 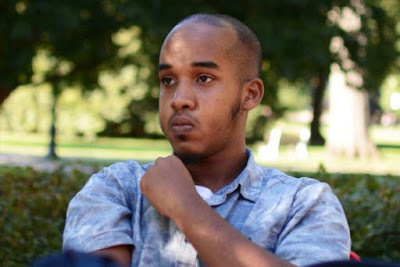 Identified as a student at Ohio State University, Abdul Razak Ali Artan was shot dead by police on Monday moments after he drove his car into a crowd of pedestrians and attacked them with a butcher knife. Columbus Dispatch reported that the case is being investigated as a potential terrorist act by the FBI’s Joint Terrorism Task Force, which includes Columbus police. The Associated Press said that the attacker was born in Somalia and was a legal permanent U.S. resident. Although law-enforcement officials said they don’t yet have a motive for the attack that injured 11 people, they are investigating a Facebook post that Artan is believed to have written beforehand, ABC Channels reported. “We will not let you sleep unless you give peace to the Muslims,” the post read. By late Monday afternoon, Columbus police said they had taken over both investigations: the initial assault and attack on the students as well as the fatal shooting of Artan. They refused to speculate on a motive, but Columbus Police Chief Kim Jacobs said that Homeland Security, the FBI and state authorities are all involved. No official would call it an act of terror, but no one could rule it out, either. Al-Awlaki was killed in 2011 but his propaganda has been linked to several domestic terrorist attacks in the years after his death. Now do you see why? rae sremmurd and mkultra experiments ?